C&IT goes behind the scenes at the BuzzFeed Upfronts Brand Loves Me event, which was facilitated by INVNT in London on Monday (17 October). 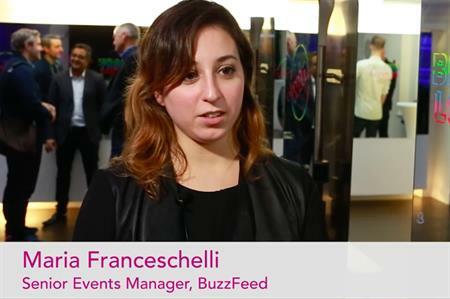 In line with BuzzFeed’s plans to expand its reach in the UK, the company selected agency INVNT to work on its Brand Loves Me event this week. Held at blank space venue 93 Mortimer Street near Oxford Circus, the event was designed to give more than 130 clients a taste of what the brand has to offer and how it will be developing in the UK.